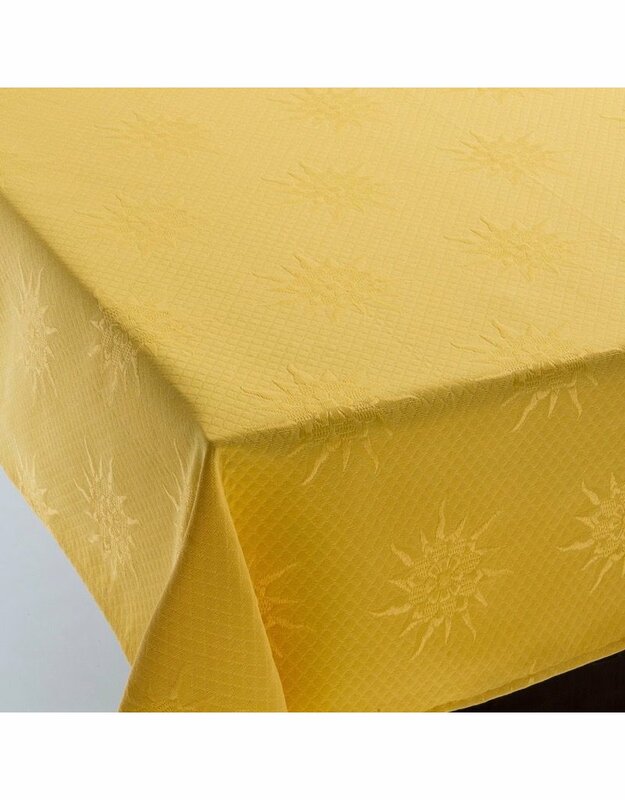 The simplicity of a solid color cloth combined with a beautifully detailed woven and quilted pattern. 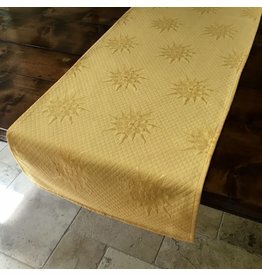 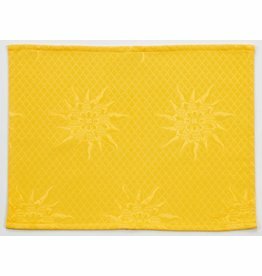 Our BB Soleil collection features a sunburst motif on a lustrous, cotton-blend, double jacquard. 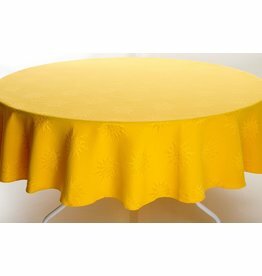 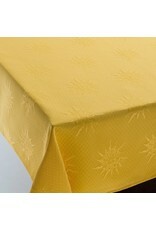 This fabric washes beautifully, is stain resistant, and requires no ironing.